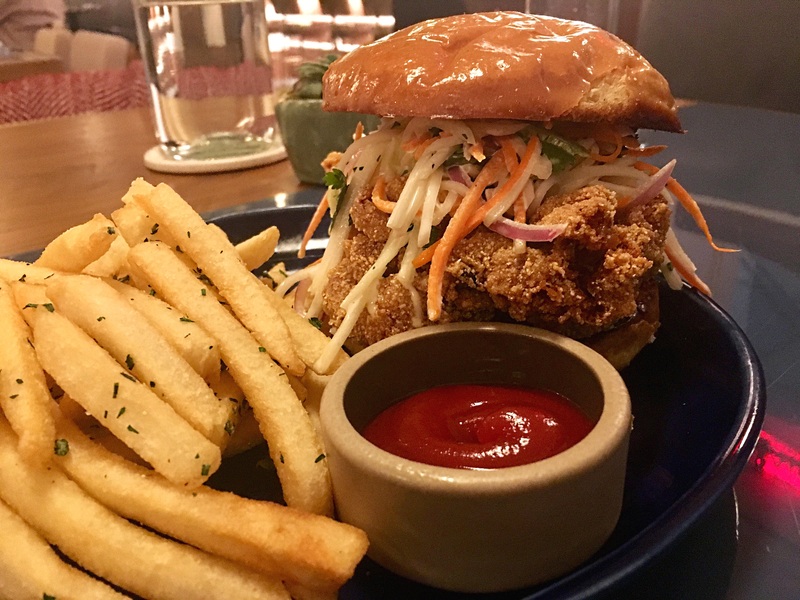 Posted by mrsjoujou in American Son, Eating and Drinking by city, Washington D.C.
American son is chef Tim Ma’s modern american restaurant located at the Eaton hotel. The food we had was good and service was attentive. My husband picked this and enjoyed the flavorful, juicy sandwich. It was a good portion. 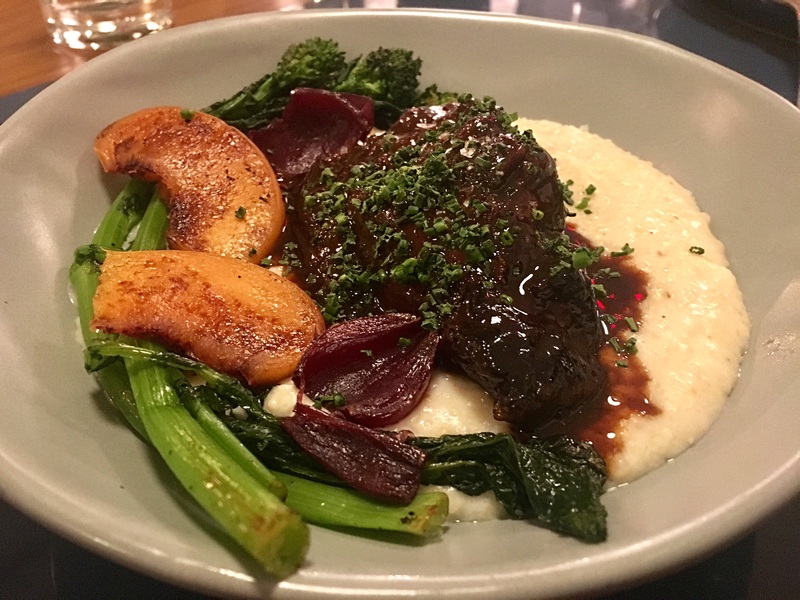 The beef cheeks were larger than usual. The meat was a little bland but when you combined it with other ingredients, it was good. The pickled peach was a nice touch and provided a sweet/salty element to the dish. There was plenty of polenta to fill you up if you choose to eat it all which I did not.